The above had a chart of the claimed/estimated gold reserves of many nations. Russia, itself, has been increasing its gold reserves for some time. It wants to be in a position to function without USA dollar, which USA actions like sanctions push it into. In the gold market there is a cold war climate: For the first time in 50 years, central banks bought over 640 tons of gold bars last year, almost twice as much as in 2017 and the highest level raised since 1971, when U.S. President Richard Nixon closed the era of the gold standard. The interesting fact is that the European central banks, together with the Asian ones, have been the most aggressive in their purchases. Is this fear of the euro crisis and currency wars? In reality, and this is especially true in Europe, behind the great maneuvers with gold reserves there is not only the traditional protective shield against major risks; there is also the call of opportunity. A reminder of which few still seem to know, though the appointment is now a matter of a few weeks: March 29, 2019. The day of judgment for the Brexit will also be the advent for the gold market. It is not clear whether by choice or by chance, the Bank of International Settlements in Basel, Switzerland, called the “central bank of central banks,” for its key role in the world financial system, has set an appointment with the story for March 29: Resurrection of the gold standard in the banking world. For almost 60 years, the gold standard has regulated the convertibility between gold and dollar, engaging the market value. In 1971 it was the American president Richard Nixon, frightened by the bearish pressures that were likely to sink the dollar in the cold war, to cut the cord with gold, decreeing the end of the gold standard. Now something starts moving in the opposite direction. According to international reports, Romania is the latest nation that wants its gold back. Romania’s Social Democrat Party (PSD) leader Liviu Dragnea and PSD senator Serban Nicolae have proposed legislation that requires the National Bank of Romania (BNR) to hold most of its gold reserves domestically. This is not an unusual move. In recent years we have seen the likes of Germany, Venezuela and the Netherlands each repatriate their gold from various locations. … Gold gives each of these countries independence from the US dollar amid financial sanctions, trade wars and ongoing posturing by the West. Partially because of nationalism, partially because of Brexit, partially because of sanctions threats, and partially because of moves to not be as dependent upon the US dollar, various nations have been repatriating and/or increasing gold reserves. Anyway, while the chart I saw in an SGT Report showed that as an individual nation, the USA had the most gold reserves at 8,133.5 tons, when you add up the reserves of the individual European nations, you see that Europe has far more in gold reserves than the USA. Furthermore, with the International Monetary Fund with 2,814 tons, Russia listed with 2,152 tons, and China listed with 1,874 tons, this shows that other major players in the world have a lot of gold and value it. Europe is prophesied to have even more gold than it now has! The Bible also teaches that in the end time, the highly indebted nation will be taken over (Habakkuk 2:2-8)–no nation is more indebted than the USA–and on a per capita basis, the UK is one of the most indebted. They will be taken over and conquered during the Great Tribulation (Matthew 24:21; Daniel 11:39; watch also Do these 7 prophesies point to the end of the USA?). President Trump is the first modern president who’s openly hostile toward globalism. He’s denounced it repeatedly. Trump is not going to surrender the U.S. dollar’s top status and give up monetary policy to a world central bank. That would be akin to lowering the U.S. flag, raising the UN flag, and saluting it. However, there’s only one way Trump could fight the globalists and their SDR plan: return the dollar to some sort of gold backing. Bringing back the gold standard would be very hard to do, but boy, would it be wonderful. We’d have a standard on which to base our money. Interviewer: Can you envision a scenario in which this country ever goes back to the gold standard? Trump: I like the gold standard. There’s something very nice about the gold standard. …There’s something very nice about having something solid, you know we used to have a very very solid country because it was based on a gold standard. We don’t have that anymore. There is something very nice about the concept of that. Donald Trump may have some enthusiasm when he speaks about gold, but the reality is that the USA is not the world leader in owning it. Any push made by the USA towards gold will simply encourage other nations to look at it as well. 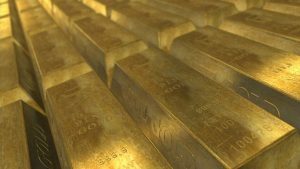 It has been proposed that various nations around the world are already in the process of accumulating gold to one day overthrow the U.S. dollar—and that the “U.S. is unprepared for this strategic alternative to dollar dominance” (Rickards J. Axis of Gold. The Daily Reckoning, December 20, 2016). The reality is that the Eurozone has issues, but Europe and others are taking steps to replace the US dollar as the world’s primary reserve currency and are using gold as part of their plan. And Europe already has the most gold. Will the Anglo-Saxon-Celtic Nations be Divided and Have People Taken as Slaves? Will the lands of the United States, United Kingdom, Canada, Australia, and New Zealand be divided? What about Jerusalem? What does Bible prophecy teach? Are there non-biblical prophecies that support this idea? Who will divide those lands? Who will end up with the lands and the people? Here is a link to a video titled Will the USA and other Anglo-nations be Divided and Their People Made Slaves? Here is a related item in the Spanish language ¿Serán divididas las naciones anglosajonas? This entry was posted on Thursday, March 21st, 2019 at 3:00 pm	and is filed under Prophecy.